my grandpa bought me a battery-operated barbie jeep when i was 1 year old and couldn't even walk yet. while i was not yet old enough to drive it around, i still looked like a pretty cool toddler just sitting in it. that jeep stuck around for much of my early childhood, and i still remember it fondly. but if i had the choice now, i'd kick that hot-pink atrocity to the curb for the much-improved selection of kids' cars that are now available. they've started to look like miniature versions of the actual vehicles, with some having special features to make a battery-operated toy look and feel like the real thing (to a kid, at least). while they don't exactly make kiddie versions of the most affordable cars on the market, there are still plenty of options to get your mini-me a ride that matches yours at a fraction of the garage space. here are the 10 cars your kids will love the most, with adult versions that you'll love driving. 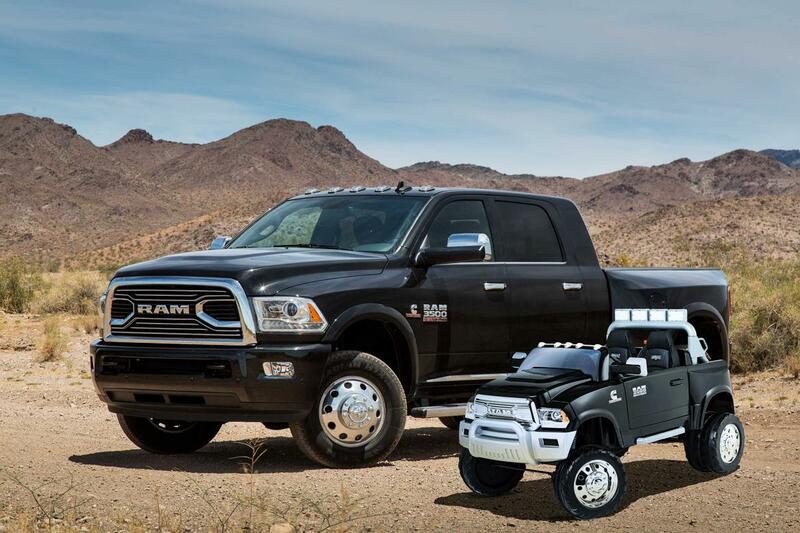 the kid trax ram 3500 is perfect for making youngsters feel like they have as much towing power as their parents do. 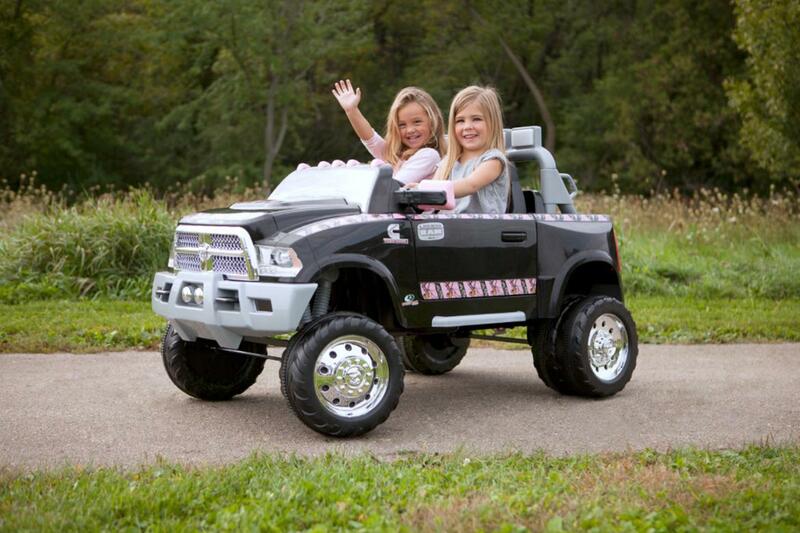 in this two-seater with cargo room in the "bed," your kids can ride down the sidewalk with all of their toys, ready to stop and play wherever their truck takes them. not only does this tiny version of a sierra look stylish, but for those who are more than a decade away from getting their license, it'll feel as realistic as mom or dad's car. it has used engine sounds, headlights, an external charging port and an mp3 jack so your kids can bump their favorite music while rollin' through the hood. 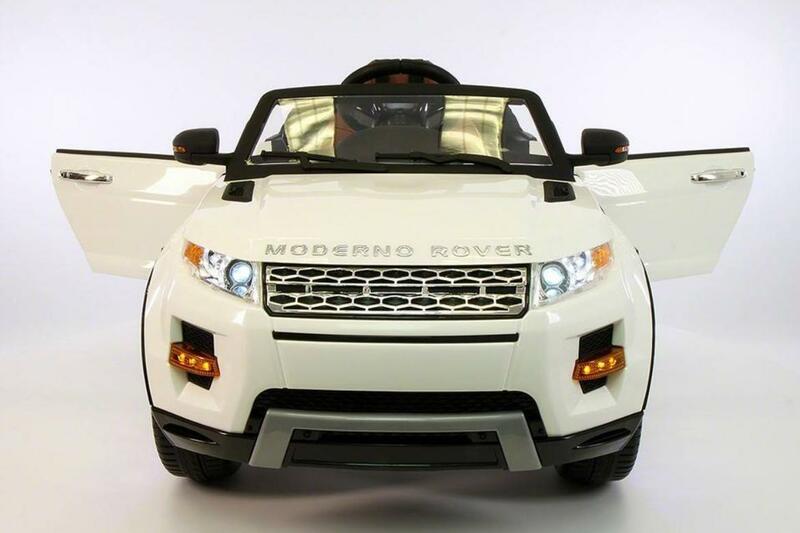 this kid version of a range rover might even put your base model to shame. led headlights, an fm radio with an mp3 player and assisted power steering all come standard. plus, the color led wheels look sick when you reach that top speed of 5 mph. this battery-operated version looks like a little clone of an actual escalade with realistic styling. it has a chrome grille and wheels, a radio and even a cupholder for your kid's juice box (but be responsible, no sipping and driving). this mercedes only seats one child, but who needs a passenger when you can be stylin' solo? and in case you don't trust your young one to keep this matte-black beauty in good condition, there's remote-control driving so you can make them think they're in control while still avoiding accidents. the x6 is another stylish miniature for one. it has working doors and chrome accents, but it also only reaches a max speed of 2 mph, so it's not ideal if your kid is an aspiring speed demon. get your kids excited about muscle cars early. you can customize your color to be black, red or even yellow (particularly useful if your child is into the "transformers" movies). this one includes a working radio with an mp3 jack and a working horn sound. another luxury vehicle that you can control remotely if you don't trust your tot's driving skills. with leds and two speeds, they'll convince themselves that they're taking a joyride around the block in an exotic sports car. if you're still waiting on a model 3, maybe getting your kid a model s will hold you over a bit longer. 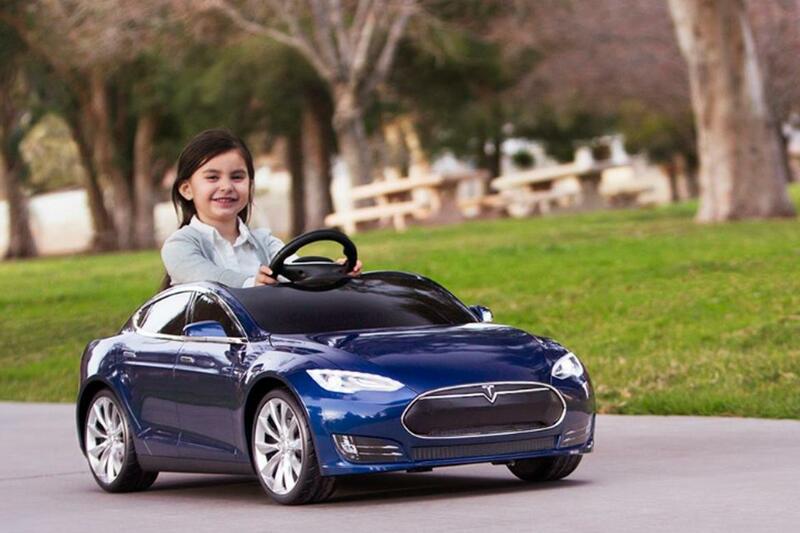 radio flyer's tesla comes in four colors, and for a little extra, you can even get your own customized license plate for your kid or a tesla parking sign for your garage. ok, the chances that you'll get an aventador to match your child's is probably a little unrealistic. still, you might be able to live vicariously through them with this matte-black supercar substitute. equipped with anti-skid wheels and remote-control driving, this lambo will make your little kid feel like a big shot.